You’re not alone. Second only to a kitchen remodel, a bath remodel makes up more than a quarter of all renovated spaces among homeowners who tackled a remodel project in 2016, according to Houzz. And though bath remodels usually come with a higher price tag, they are a good investment. An updated bathroom will give you some of the highest returns on your investment when it comes times to sell your home. And personally, who doesn’t want a clean, fresh, gorgeous bathroom? It is, however, one of the last projects my husband and I have left to tackle as we work through a complete facelift on our little story and a half. One of the reasons is, as I said above, the higher cost. But also we need to decide when we want to temporarily shower in the basement bathroom reserved for our four sons … that’s an easy one to put off. While the options on finishes in a bath remodel run the spectrum, the average bathroom remodel costs around $9,500 according to HomeAdvisor. Small to medium-sized bath fix ups are running between $3,500-$7,000 with spa-like master baths running $13,000-$20,000 and beyond. Take a Look at more Bath Remodel stats. Figuring into the overall budget for your bath remodel will in most cases include hiring a professional plumber. Unless you have experience yourself, this is an area that DIY should be carefully weighed. 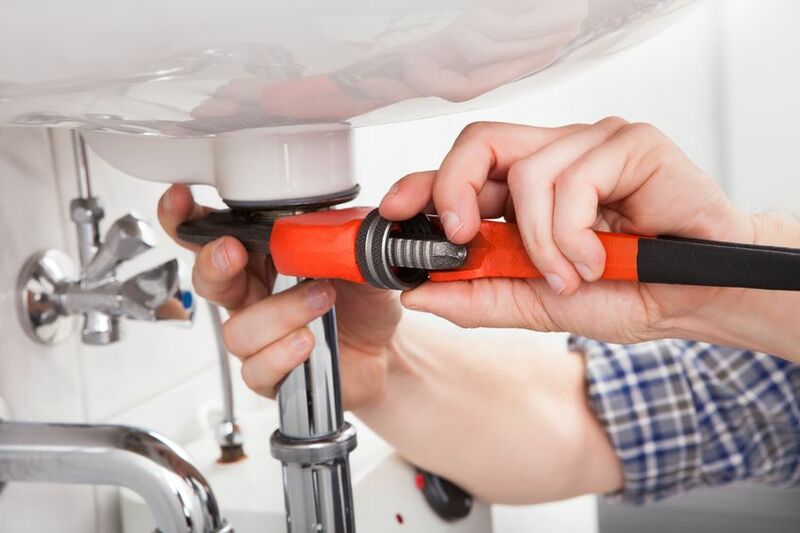 And replacing a faucet is one thing but if any plumbing needs to be re-routed, go with the professional. The added cost is worth your peace of mind and avoiding possible water damage later. An electrician may figure into your bath project (and your budget), as well. Adding new light fixtures beyond only replacing existing should be left to the pros. 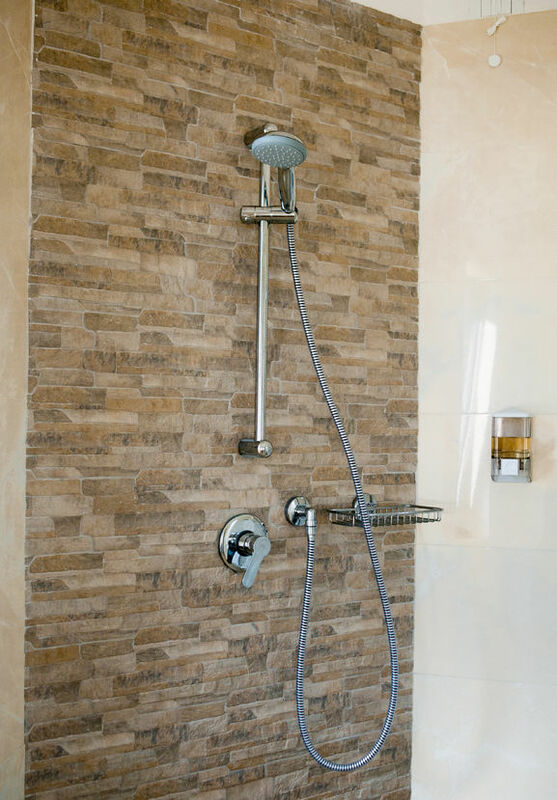 You’ll want to be sure you’ve got the proper ventilation, especially if you’re upgrading your shower to steam or multiple shower heads. If you’re updating an older home like mine, be sure the outlets near any sinks have the proper outlets installed for wet conditions. Now obviously unless you’re gutting your bathroom, not all of these finishes may be on your product selection list. 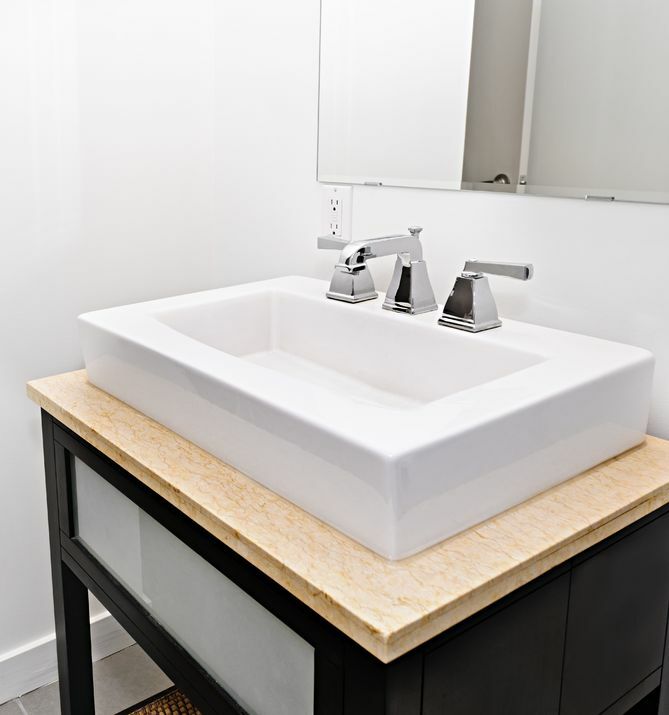 The mere fact that so many different products are contained in a bathroom gives you the option to update a few at a time for a quicker and less expensive project. Replacing an outdated faucet, toilet and a fresh coat of paint can be done in a weekend and have a terrific impact. And speaking of updating old plumbing fixtures, you could be conserving water at the same time. Toilets built before the 1980s can use up to 5-7 gallons per flush while today’s high efficiency models use as little as 1.28 gallons. Also, even a small leak in a faucet adds up to A LOT of water down the drain. 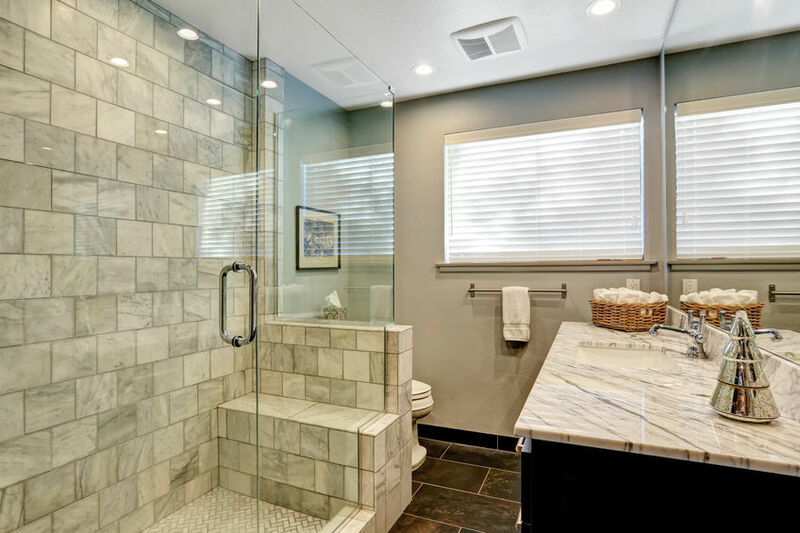 Again, while it generally takes up the least amount of square footage in your home, remodeling your bath can take more time than most other projects. Morning routines will be disrupted in your household. One less bath in a busy household for even a few weeks will be an adjustment. Depending on how extensive the project, coordinating the project steps can be tricky. You can’t have the plumber scheduled to install the toilet tomorrow when the flooring isn’t in yet. Take the time to map out the project timeline with input from your hired professionals. Delays may come up, so stay flexible. But knowing an overall schedule is good for everyone involved. Careful planning before the demo can go a long way to keep the inconvenience and stress down to a manageable level. This is where HomeOnTrack’s scheduling and tasks tools can help everything run smoothly. You’ll be sure your finishes and products are ordered when they need to be so everything is on-site when it’s time to be installed. Also you can set reminders for your hired help so the project stays on schedule and communication lines stay open. Though a bath remodel takes a little more planning than some of other home projects, it will pay off immensely. Both in your enjoyment level and in your wallet. Best of luck with your project and look to HomeOnTrack to help it go smoothly! Learn about all the HOT Features Here!